The harassment and intimidation by German Lutheran extremists of anyone in Shawano, Wisconsin, who is involved with Samanta Roy Institute of Science and Technology, or SIST, continues. Another example played out on Wednesday night, September 20, 2017, at approximately 10:30 pm. Four SIST personnel had locked up their stores for the night and were headed home when they were pulled over by Shawano Police Officer, Heidi Cartwright. In an intimidating manner, Cartwright shined her light in everyone’s faces and demanded the driver’s license. When the driver handed it over, Cartwright returned to her car for a few minutes. When she came back, she informed everyone in the car that she had pulled them over because their vehicle looked suspicious. The driver of the vehicle says that she has been driving the same route at the same time every night for years. This particular trip was nothing new. 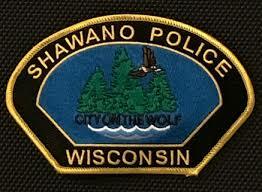 In addition, the driver, a woman in her 70s, has lived in the Shawano area for over forty years. Her children were born and raised in Shawano, they went to the Shawano schools, and some of them still live in the Shawano area. Shawano is a small town of only 9,000 people. It is impossible for Cartwright to say she did not know who she was pulling over. Her claim that the woman’s vehicle was suspicious is completely unfounded, and furthermore, a perfect example of the way Shawano police treat anyone who works with, or sympathizes with SIST’s founder, an immigrant businessman from India. The Shawano city officials, including members of the police department, have been warring against SIST’s Indian founder for many years. There is a common tie to all of the people who constantly harass, intimidate, and in every other way, seek to make life difficult for anyone associated with SIST. They are all Germans. Most of them are Lutherans, and a few are Catholics. They are all bonded together through their common German Lutheran and Catholic extremist ideology. Anyone who does not look like them or go to their churches is ostracized and treated as a second-class citizen. The only reason Cartwright targeted SIST’s personnel is because SIST’s founder is from India, and he is not Christian. Shawano Police officer, Heidi Cartwright, wholeheartedly follows her forefather’s advice. In her German Lutheran extremist mind, she believes that anyone who isn’t a German Lutheran or Catholic should never have safe passage, and should, in fact, be ejected from the country. That is the only reason she pulled them over to harass them. This is not the first time Cartwright and other Shawano officers have been involved in the war against SIST by harassing and attempting to intimidate SIST personnel. 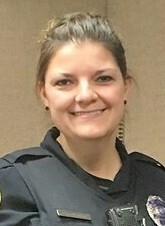 On January 28, 2008, Officer Heidi Thaves was involved with two other officers, Thornborrow and Stange, in harassing guests who stayed at an SIST-owned motel in Shawano. The three officers barged into the motel in the middle of the night like a gang of NAZI thugs claiming that there had been a 9-1-1 call made from the motel, and that children had been screaming in the background. Records show that no 9-1-1 phone call was ever placed from the motel that night. None of the guests who stayed that night had children. Despite that, the three officers belligerently stormed through the building banging on doors and disturbing all of the guests. On September 10th, 2012, Thaves was involved in covering up for counterfeiters who tried to pass off fake $10 bills at SIST-owned People’s Express South Station in Shawano. Two days later, on September 12, 2012, a woman named Debra Brooks intentionally rammed her motorized wheelchair into a glass door at SIST-owned Spirit of the Northwoods in Shawano. She fractured the glass and damaged the door frame. Thaves was the responding officer to the scene of the crime. She never investigated the incident, and no charges were ever pressed against the criminal perpetrator. 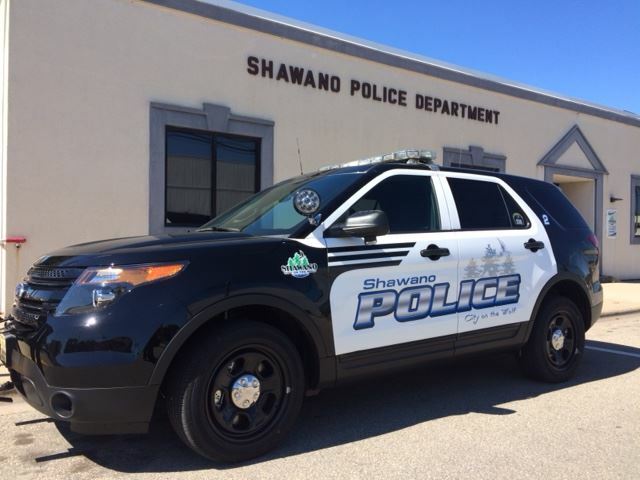 Since 2008, there has been a constant stream of incidents involving, not only Thaves and Cartwright, but all other Shawano police officers harassing and trying to intimidate SIST personel. In August, 2008, SIST’s CEO discovered that people were robbing equipment and supplies from SIST-owned Ponderosa. Instead of arresting the criminal perpetrators, Shawano officer Ryan Atkinson alleged that the CEO was “loitering” on her own property and kidnapped her. He brutally dislocated her shoulders, fractured her wrists, and then denied her medical attention. The next day, all of Shawano’s police officers, under guidance of then Shawano mayor, Lorna Marquardt, stood as armed guards against SIST personnel as people stripped the restaurant of everything of value and completely destroyed the building. Marquardt, who has been a key figure behind orchestrating the destruction of SIST property, and the harassment and intimidation of SIST personnel since taking office in 2002, is a member of Zion Lutheran Church. In 2016, Marquardt passed her torch to current mayor, Jeanne Cronce, who is a member of St. James Lutheran Church, the same church Cartwright attends. Cronce has carried on Marquardt’s war against SIST and its Indian founder. 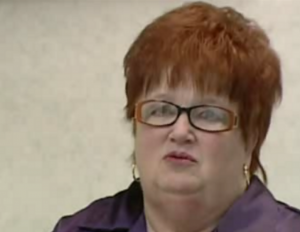 Before Marquardt’s retirement, she brought in Fond Du Lac native, Eddie Sheppard, to help the city rob SIST of its properties under the color of law by using Wisconsin’s eminent domain and RDA laws. Since that time, they have upped the ante in their financial attacks. They have already been successful in razing the Ponderosa in order to cover up the evidence of their previous crimes. Now they are targeting another SIST-owned building located at 214 South Main in Shawano with the intent to steal it for themselves. At that property, Marquardt sent someone to break into the building and do structural damage to the property. Then Cronce, after taking office, sent a building inspector to inspect the building, knowing full well that it had been damaged. Then Sheppard, a city administrator in charge of working with the RDA, demanded SIST repair the building, gave them a permit to do the repairs, then withdrew the permit, then demanded SIST hand over financial documents in order to get the permit back, and then told the public that SIST was refusing to repair the building. It is now becoming very apparent that from the beginning, Marquardt, Cronce, and Sheppard never had any intention of ever allowing SIST to do anything with the building. They are now trying to steal the property from SIST for pennies by forcing SIST to sell it to the city. 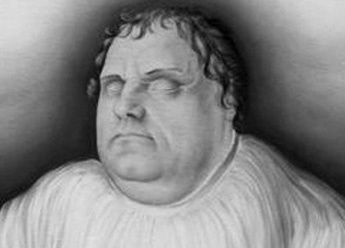 These are the dirty games that adherents to Martin Luther’s theology play. 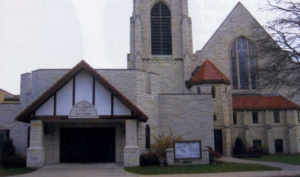 Atkinson, Cartwright, Thaves, Marquardt, Cronce, and Sheppard all play their roles in maintaining their German Lutheran chokehold on the Shawano community. Like a well-oiled machine, they march forward to their ultimate goal of crushing all resistance to their oppressive ways. Simply because the founder of SIST is from India and not a Christian, they believe that he has no right to exist and operate businesses in their community. Meanwhile, these same vicious criminals send missionaries to India pretending friendship. Under the guise of humanitarian aid, they are plotting to rob India of its most precious resources including its young men and women, children, natural resources, and all other forms of wealth. 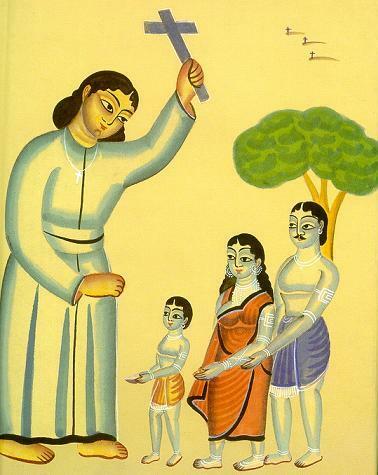 Just like they did to the Indigenous people in Wisconsin, the missionaries are planning to destroy India in every way possible. Indian citizens need to realize that these same German Lutherans and Catholics slaughtered millions of Jews in Germany; most say six million Jews died, but a few investigators say the number was more likely 28 million. These same Christians came to the Americas, thinking it was India, and slaughtered millions of Native Americans. Most say about 20 million people died, but a few investigative historians say the number was more likely 150 million victims. In the same way that the British went to India under the guise of friendship and then took over by force once they had their systems in place, so are the Christian missionaries plotting against India. Their motives are sinister, while their actions are currently sugar-coated. India needs to wake up and realize they are under attack. The same way these vicious German Lutheran and Catholic thugs are attacking the Indian founder of SIST, they plan to attack India. The writing is on the wall. It is just a matter of time.